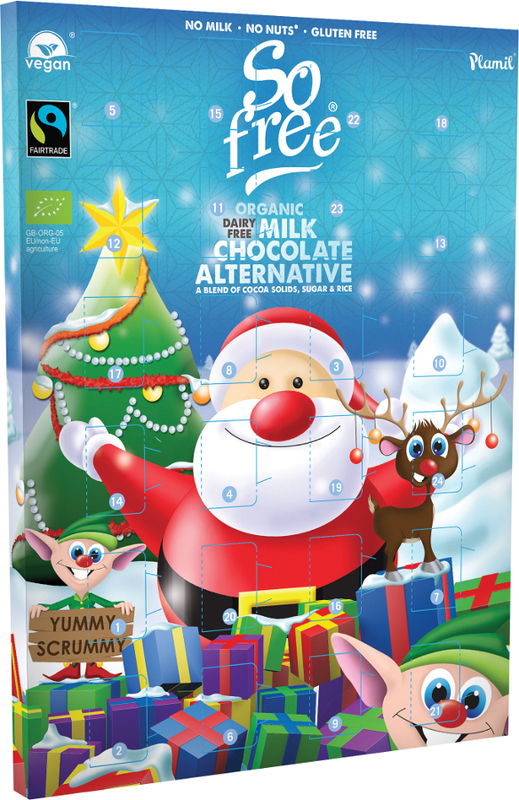 A delightful dairy free chocolate advent calendar from Plamil’s So Free Range. 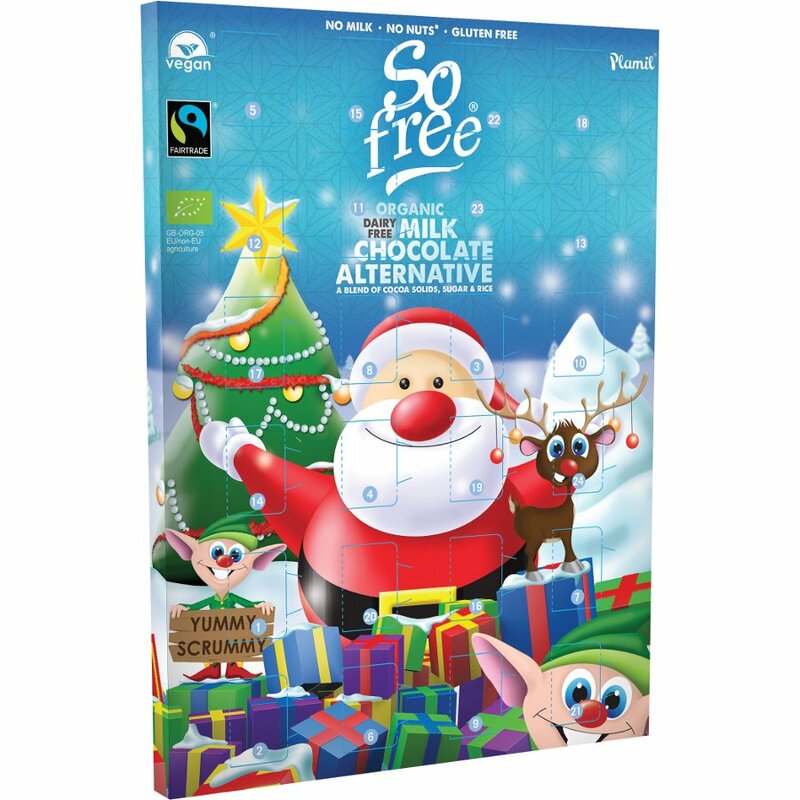 Made with Fairtrade and organic certified ingredients, it is a great ethical treat everyone can enjoy this December. The milk chocolate alternative is made with a blend of cocoa solids, sugar and rice, and is suitable for vegans. Free from dairy, gluten, wheat and nuts. 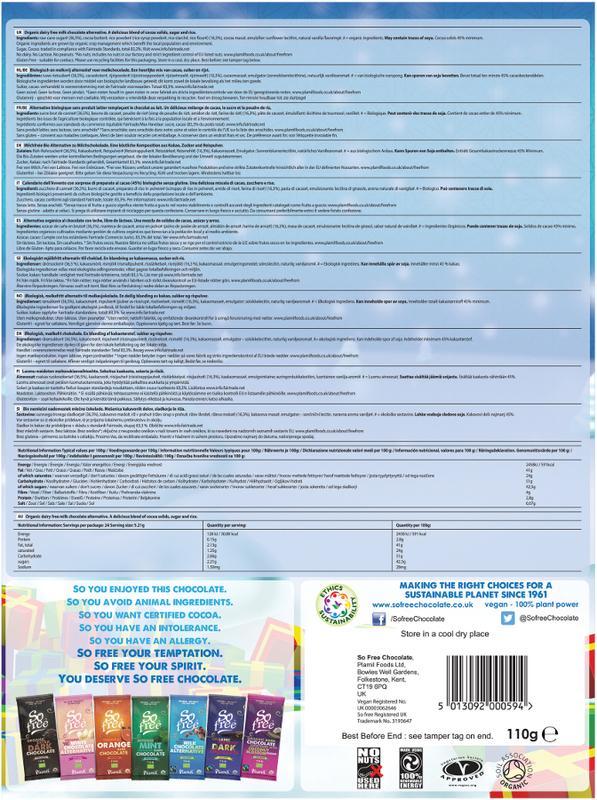 The Plamil So Free Vegan Milk Chocolate Advent Calendar - 110g product ethics are indicated below. To learn more about these product ethics and to see related products, follow the links below. There are currently no questions to display about Plamil So Free Vegan Milk Chocolate Advent Calendar - 110g. Plamil foods believes in creating top quality, tasty food for all. They use their years of food production experience to recognise increasing consumer demand for ‘free from’ foods, due to ethical, religious, or allergy reasons. They produce specific products which avoid animal, dairy and egg products, so everything that they make is vegan friendly. In addition, their products are gluten free and their factory is a carefully controlled site, so you can eat their foods with absolute certainty in what you are consuming.